Is the data on your phone or laptop encrypted? Should it be? And what does encrypting your data do to it anyway? Here we’ll explain the ins and outs of encryption, and how you can make sure that everything in your digital life is safe from prying eyes. Despite some of the complicated math involved, encryption isn’t difficult to understand—simply put, it locks your files and data away using a secret code, just like a pair of spies might talk in code to hide what they’re really saying. If anyone else overhears that conversation, it sounds like gibberish, and it’s the same with encrypted files. 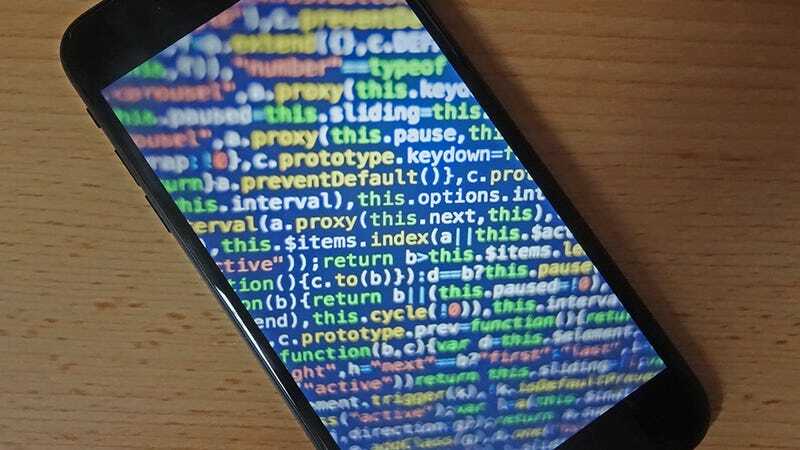 To make sense of encrypted data, you need the key to the code, which on your phone is often your PIN number—get past the lock screen, and your files and apps are no longer gibberish. That’s why being able to unlock an encrypted phone is so important to making sense of the data on it. It applies to data we have stored on our devices and data we send through the air, to and from the internet. Apps with end-to-end encryption can’t be spied on, much to the chagrin of law enforcement agencies and governments worldwide, and only the sender and intended recipient gets to see the real message. You can go a long way down into the technical details of encryption, but it essentially just scrambles the data. The number of “bits” is often listed next to the type of encryption being used tell you how many possible combinations there are for the unlock code—something locked with 256-bit encryption would take a bank of supercomputers billions of years to decode using brute force alone. Different types of encryption algorithms have been developed for different purposes, with varying compromises between complexity and speed, though most of the time you won’t have to worry about which flavor of encryption you’re using (most of the time you just won’t get a choice). For example, the encryption on the iPhone is the 256-bit AES standard also used by the US military, which has the benefit of being both very speedy to apply and impossible to crack by running through the various unlock code combinations, as we’ve already pointed out. If your data isn’t encrypted, anyone who happens across your phone or laptop can get at the files within pretty easily; with encryption added, accessing the same data becomes very, very difficult (though not impossible, if other security loopholes can be found on the device). But do you need it in place if you’re not carrying government secrets or company financials with you? Even if you don’t mind the thought of other people rifling through your folders of GIFs and angry letters to your Internet Service Provider, any device you own contains a wealth of information about you that’s best kept private, from contacts to browsing histories. You’re building a wall between everything on your phone or computer, and anyone else who might want to look at it who isn’t you. The good news is, encryption has become so important that a lot of devices now include it by default, so you don’t necessarily need to do anything to stay protected. iOS has been encrypting data for years, and encryption is now switched on by default in macOS as well: To check, open System Preferences, click Security & Privacy, then open the FileVault tab. If encryption isn’t enabled, you can start the process here, and Apple has more information on its official support page. After lagging behind iPhones for several years, just about all new Android devices are also now encrypted by default, as long as they’re running Android 6.0 Marshmallow or later. If your Android device isn’t encrypted, and can be encrypted with its current OS version, then you’ll find the option by tapping the Security link in Settings. That just leaves Windows—some PCs that ship with Windows 10 come with something called Device Encryption enabled, as long as you set it up and sign in with a Microsoft account. To check if this applies to you, from Settings click System then About and see if there’s a Device Encryption section at the bottom. If you don’t have Device Encryption on your machine then the next option is BitLocker—but that requires upgrading to Windows 10 Pro. You may think the $100 is worth it, but free options, like the open source VeraCrypt, are available as well. We’re not going to go into too much detail about the data traveling to and from your devices, but encryption applies here too—with encryption in place, if someone should intercept the data going to or leaving from your computer, they won’t be able to make sense of it. A lot of apps apply encryption by default, and it’s also added when you connect to HTTPS sites such as Facebook, Gmail, Amazon and many others. Adding a password to your Wi-Fi network at home encrypts the data moving across it, and if you’re using a public Wi-Fi network that anyone can access you should consider installing a VPN to encrypt your data and keep it scrambled. Finally, it’s important to remember that nothing keeps your devices 100 percent protected, not even encryption (though it of course goes a long way towards doing that)—don’t think because your phone or laptop is encrypted you can become complacent about all the other precautions you need to put in place to stay safe.